Welcome to Racing Beat, the heart of rotary performance since 1971! As an owner of a 1986-92 FC3S RX-7 you'll find a vast array of performance RX-7 parts that have designed specifically for your vehicle on our website. Racing Beat takes pride in offering one of the world's largest selection of RX-7 parts for all models of 1986-92 RX-7s, including the TURBO II and convertible models. We invite you to review our online FC3S RX-7 parts selection and contact us with any technical questions you might have. Good news, we’ve working on some exciting components for the entire range of 1979-85 RX-7 brake applications. We hope to soon announce the introduction of several sets of very high quality, made exclusively for Racing Beat, brake stainless steel brake lines for ALL early RX-7 models. We’ll also be adding a complete line of replacement brake rotors and bearing kits to complete the offering. Stay tuned! 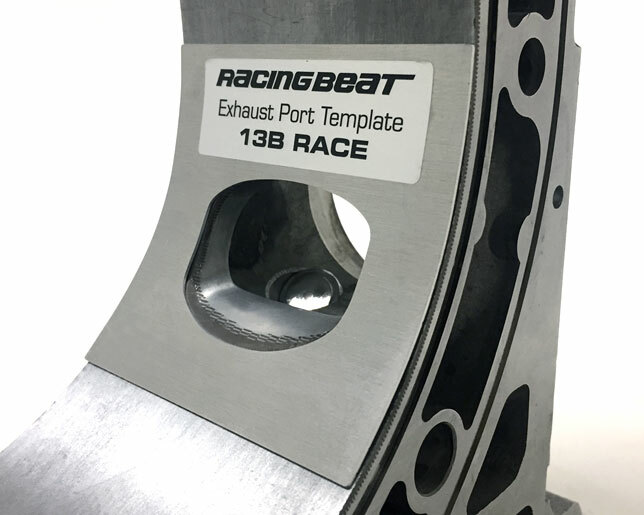 We now offer laser-cut exhaust porting templates for 12A & 13B performance and race applications. 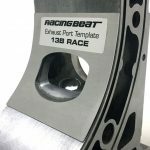 Patterned after the original templates designed decades ago by Racing Beat’s race engine builder Jim Mederer, these templates are now easier to use. Just mark the location per the instructions, hold in place, and then scribe the pattern! We spent some time at the track with Jeff, here's our interview. Here's an easy guide to show you the various exhaust system options for your 1986-92 RX-7. Our most popular header! Mates to a RB Power Pulse presilencer.